"The problem Australia have is that chasing was supposed to be their best hope. But when a team chasing 250 fails to get up from 218 for five in the 45th that strategy has more than a few holes"
So far so good for India who enjoy a 2-0 lead with three to play. They have passed two tests which will go in punters' notebooks ahead of this World Cup summer. Firstly, their lower-order clicked to get them home in a tricky chase after their vaunted top three were out cheaply. Then in Nagpur their bowlers defended a low score, surging back when it looked like the game was up. It is perhaps true that with the wicket taking spin it wasn't so relevant for England in a few weeks but they look in decent shape (they are multi-dimensional in a way jollies England could only dream of). So much so that they could start to tinker with their XI to firm up squad plans. Bhuv Kumar is back in the squad and is a potential replacement for Mohammad Shami or Jasprit Bumrah. Yuz Chahal could well get a game with Ravi Jadeja sitting out. 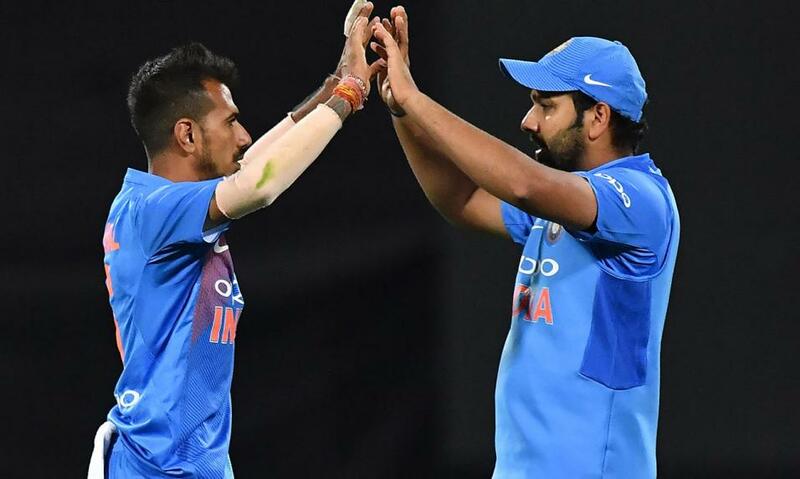 There is the possibility of two batting changes - KL Rahul for Shikhar Dhawan at the top of the order and Rish Pant for Ambati Rayudu in the engine room. Australia should not be too downhearted about failing in Nagpur. They are not going to solve historical deficiencies against spin overnight. Nor do they need to, because it shouldn't be as big a factor in England as it was here. It is likely to continue to colour this series, though, and in that regard it's hardly ideal preparation because conditions will be so different. For the record, though, Australia played out 89 dots from 168 balls of spin in game two. That's why they lost. To focus on the positive their bowling is impressive. Twice they have troubled India now. Pat Cummins claimed four wickets and Nathan Coulter-Nile was a threat. Nathan Lyon and Adam Zampa, the spinners, teamed up and we expect Australia will go with the same make-up in attack. That means the Richardsons - Kane and Jhye may have to wait for a game. There have been only four ODI played at Ranchi. In 2016 New Zealand, in large part to a mean Mitch Santner, defended 260. India chased 286 with three wickets left against Sri Lanka two years before in a thriller. Australia posted 295 in a washout in 2013 and England were rolled for 155 the same year. Six of those wickets fell to spin. Australia know exactly what to expect. India are [1.53] and Australia [2.89] for game three. The hosts are beginning to look worth backing for big stakes with the balance of power ever more in India's favour. The problem Australia have is that chasing was supposed to be their best hope. But when a team chasing 250 fails to get up from 218 for five in the 45th that strategy has more than a few holes. Yes, we have always known about Australia's issue with spin but it appears it's too big. When are they actually value? Perversely, they may have to bat first here and beat India at their own game. Their spin twins could squeeze like the Kiwis did. At the odds we can't play and are looking for in-running options. The best being India at anything bigger than [1.80] in the first dig. They have all bases covered and a bet on the Aussies is beginning to feel like a shot in the dark. Virat Kohli's excellent century means he will be well-backed for top India bat honours. We remind you, however, that the price is wrong (in a bad way). And we should never take odds which are too short. At 9/4 (Betfair Sportsbook) we have to swerve because on hit rate he's more like 11/4. Shortening Kohli has pushed Rohit Sharma out to 3/1 and that's big for a man who win this market more often that his captain, as explained here. Shaun Marsh is fit again and that's a huge boost for the Aussies with Aaron Finch so out of touch. Marsh has 656 runs in 11 matches in the last two years, which puts him second on the overall run lists with Finch top on 901.But look at the games played - Finch has 11 more. In short, Australia's Mr Reliable is back. Not surprisingly March gets favourite status for top Australia bat at 7/2 (Betfair Sportsbook).